Another Boom for Amazonia? 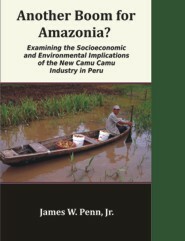 : Examining the Socioeconomic and Environmental Implications of the New Camu Camu Industry in Peru ; James W. Penn, Jr.
by James W. Penn, Jr. This study examines the socioeconomic and environmental implications of the new camu camu industry in Peru. Camu camu (Myrciaria dubia) is a small tree native to wetlands of the Amazon basin. It is especially abundant in Peruvian Amazonia. The high vitamin-C content of the fruit has generated interest in exporting camu camu products from Amazonia to more-developed countries. The government of Peru has been actively promoting this new extractive industry, as well as the planting of camu camu in rural areas. Non-governmental development organizations and private industry are now actively involved with camu camu projects and enterprises. In Peru, enthusiasm for this native species is high, because camu camu is expected to provide a much-needed and sustainable economic boost for the region. However, many questions about the environmental implications and socioeconomic impacts of the camu camu export industry need to be answered in order to understand its ecological and economic viability, and its effects on business and in rural communities. Winner of 2010 "Dissertation Excellence Award"
Findings indicate that camu camu has provided significantly more income to rural residents than is provided by the traditional boom and bust economies of Amazonia. Households who adopted camu camu as a new crop in their floodplain agroforestry systems farmed significantly more floodplain land than non-adopters, and were especially adept at experimenting with new innovations. Lack of agricultural credit is a major constraint to adopting camu camu as a new crop in Peru. Geographic isolation and the location of processing facilities in relation to fruit harvests present major obstacles to the economic viability of the new industry. Camu camu was found to be cultivated with a higher diversity of annual crops than is typical in floodplain fields of the region. Extraction of camu camu fruits from the wild does not appear to have a negative environmental impact, at least in the initial years of the industry. This non-timber forest product in the process of domestication can support a viable industry in the Peruvian Amazon, if agricultural extension methods and marketing channels are improved. James Walter Penn, Jr. was born in February 1960, in Peoria, Illinois. His parents planted gardens and trees, and were active volunteers in community and civic affairs. For as long as he can remember, Jim was interested in these activities. The family camped frequently, and were consistent supporters of conservation efforts. Jim graduated from Douglas MacArthur High School in Decatur Illinois in May of 1978. He graduated with a B.A. in political science from the Department of Arms Control and Disarmament at the University of Illinois, Urbana-Champaign in 1983. He then embarked on several years of volunteer conservation and social work in Latin America, mostly in Peru, where he is still active in these activities. Jim received an M.A. in Latin American Studies from the University of Florida in 1999. 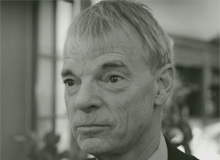 An American economist and recipient of the 2001 Nobel Memorial Prize in Economic Sciences, along with George A. Akerlof and Joseph E. Stiglitz, for their work on the dynamics of information flows and market development. He conducted this research while at Harvard University. His work triggered the enormous volume of literature in this branch of contract theory. In this model, employees signal their respective skills to employers by acquiring a certain degree of education, which is costly to them. Employers will pay higher wages to more educated employees, because they know that the proportion of employees with high abilities is higher among the educated ones, as it is less costly for them to acquire education than it is for employees with low abilities. For the model to work, it is not even necessary for education to have any intrinsic value if it can convey information about the sender (employee) to the recipient (employer) and if the signal is costly.